Taggart wasn't wrong in saying this. Does it make him any less a jerk? No! However I love Leavitt but he was in over his head and while he got some good players our depth eventually killed us and late season swoons had become the norm. Jim had no plan! #2 was awesome while it lasted, but we couldn't sustain it--history speaks for itself, so he's not wrong. With the program where it was when he took over, of course he's thinking "#2!? sigh...." but at the same time you have to get some energy back in the fans, so "um, SURE, yeah, it's gonna be a fun rise back to #2." Yeah Willie's about Willie, but he got results with his methods and he was not detached from reality. Many years from now, he'll probably have a few things to say about FSU fans' incoming expectations. That quote is spot-on. At that point the program and fan involvement was at an all time high and we really did nothing to take advantage of it. If an OCS was a possibility, that was the time to do it. I doesn't matter if the quote was accurate or not, it was unnecessary to say it. I never bad-mouth a former employer, even if there were something to bad-mouth them about. It's just classless. Has he even won a bowl? No. But he sounds like he clearly knows how to handle a program that’s winning. Leaving is the only answer he knows so far. The truth has become "negative" in our society. A lie, or in it's fancy verbiage "political correctness" is coveted. Well Willie man up and schedule the Bulls. Other then that, be greatfull for your time at USF and show some humility. I effing HATE this comment. Not just you, so many people have this feeling... we were in our 10th year overall and 3rd year in a major conference. People act like Leavitt should have been recruiting at a top-10 level based on all of our history and prestige and he somehow failed at that. As for CWT, it's going to be fun to watch him fail. I don't know if I have ever seen anyone more completely out-coached than he was in that last game against FSU. He'll have a better staff, but, facing stiffer competition. When he continually gets out coached by Mark Richt, the fans will turn on him. 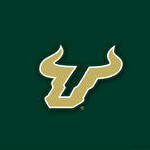 By the way, I don't think CWTs jab was at USF, it was at the fans with the mentality that No. 2 was easy and that Leavitt failed by not being able to keep us there... it was a jab at the turmoil that comes with being a top-dog and not being able to handle it... it was a jab at "boosters" who used the word plateau because they don't have any perspective on what was actually being accomplished and no understanding that it was miraculous and not something we were just entitled to. With great accomplishments come great (and back then unrealistic) expectations. I don't think Willie was saying that anyone screwed the pooch in 2007, it's what happened after to the program... it's like Tommy Boy with that sale... he loves his sale, he's going to cuddle with it, but, it's a naughty sale, then... he kills it! Funny how many people badmouth the guy who brought us back to respectability. it wasn't anything more then to point out how ridiculous fan expectations are anywhere you go. BTW we finished ranked for the first time in our history under Taggart and for those who say he couldn't have done it without flowers or mack etc. no kidding no coach can win without talented players. and guess who recruited them and put them in a position to succeed?